Summer is in full swing and what better way to celebrate the season than by filling your closet with bright, cheerful colors? Holly’s closet really caught our eye this week, not just because of her clear, bright covershots, but for her assortment of colorful wardrobe options as well! Whether you prefer to add your pop of color in dresses, tops, or accessories, you’ll be sure to discover your next #PoshFind in this Posher’s closet. Just make sure you head over to shop soon before your favorite picks are swooped up! Now that we’ve shared a closet that we are crushing on, it’s your turn! 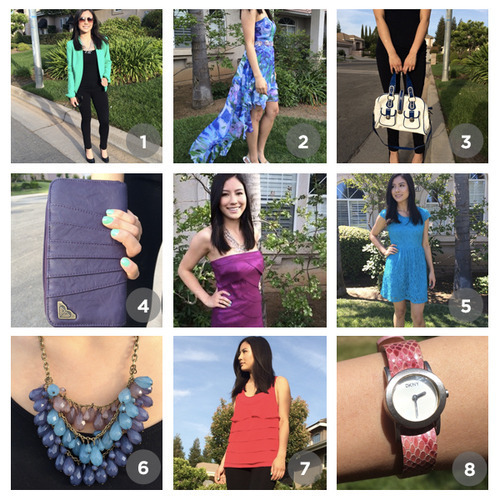 These Poshers loved their PoshFinds so much that they created #ClosetCrush listings to show them off and say thanks. Make one today and you could be featured!